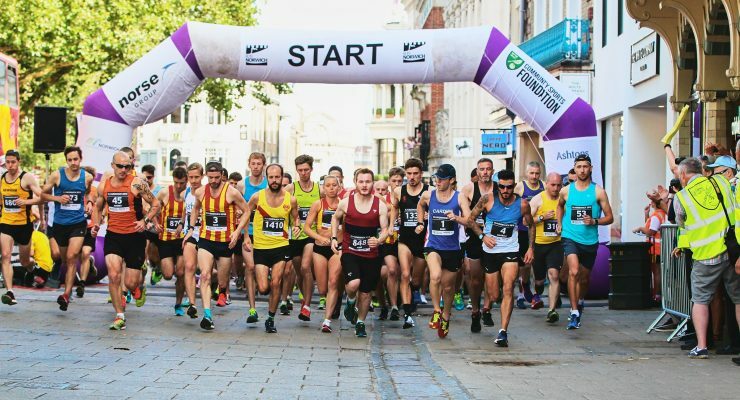 Records tumbled at the fourth Run Norwich, as thousands took to the city centre’s streets for the Community Sports Foundation’s (CSF) annual 10-kilometre race. 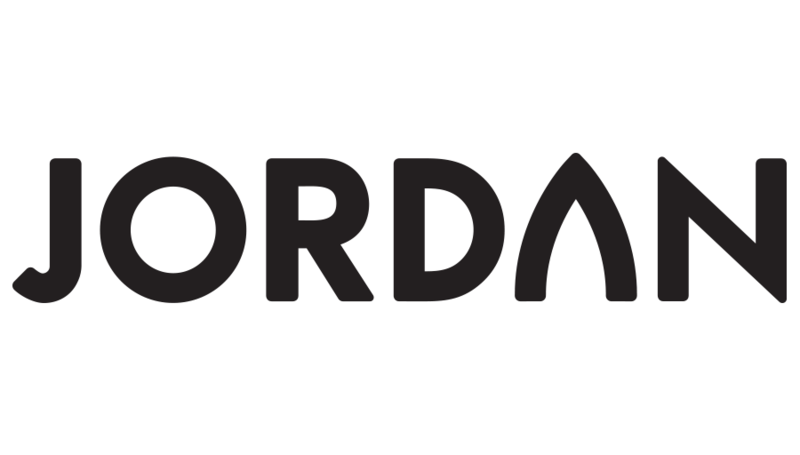 A record 5,512 runners completed the race, this year backed by main sponsors Norse Group. 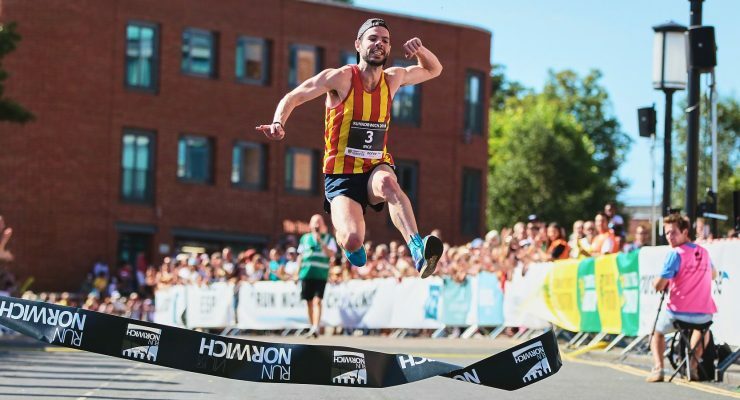 Tens of thousands of enthusiastic supporters lined the city centre course and, as well as the 450+ volunteers, live music and cheer zones, they helped create a special atmosphere for the runners to race in. 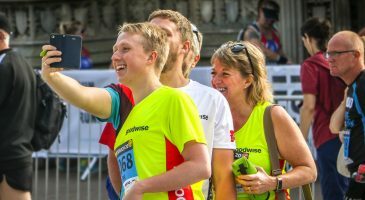 Despite early morning temperatures clocking in at 23 degrees, both the male and female course records were broken. Making it a hat trick of Run Norwich victories was Norwich-born and bred Nick Earl, who had flown back to England from Australia especially for the race. 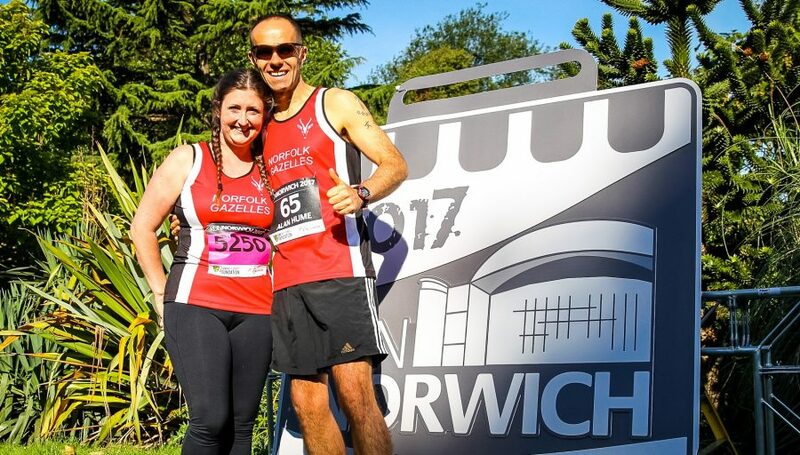 Jet-lag proved no obstacle for the City of Norwich Athletics Club (CONAC) star, with his time of 30:49 knocking 22-seconds off Michael Kallenberg’s winning time last year. 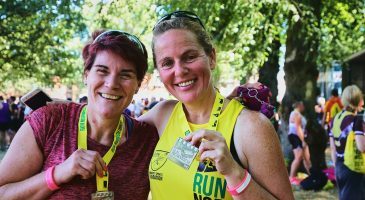 Last year’s winner was a retiree at the half-way mark through injury, and Ash Harrell (CONAC) – last year’s third placed finisher – powered over the line to second, with a time of 31:34. James Senior made it a CONAC clean sweep, securing his first podium position. The women’s race was dominated by Danielle Nimmock (CONAC). 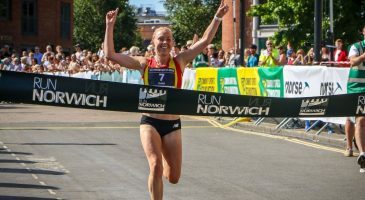 A podium finisher in the first race in 2015, Nimmock – who has recently been called up for the England team for the Commonwealth Games – shaved 16-seconds off Tracy Barlow’s course record, setting a new Run Norwich course record time of 35.03. 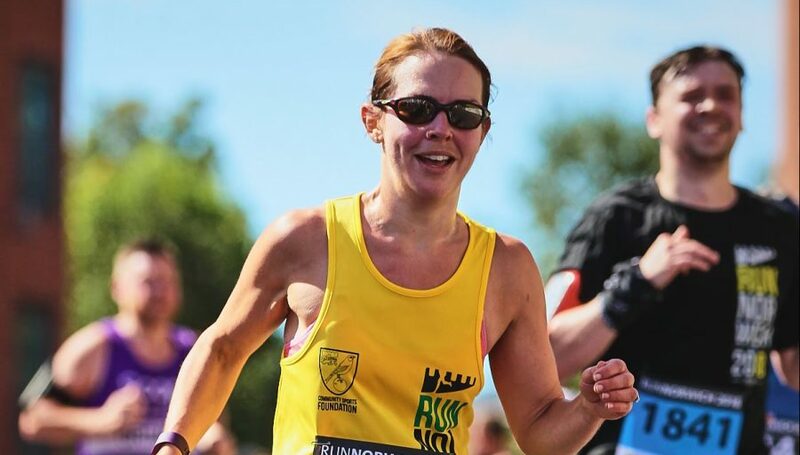 Leanne Finch (CONAC), eighth in the female race last year, knocked four minutes of her time, finishing in second place with a time of 38:02, while Jo Andrews (Bungay Black Dog RC) repeated last year’s third place effort. 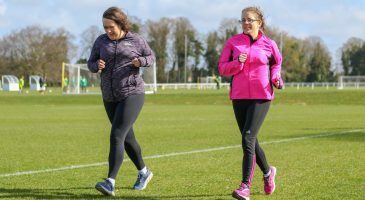 Across the rest of the field, while conditions weren’t generally favourable to personal bests, there were wonderful displays of sportsmanship, determination, and community spirit. 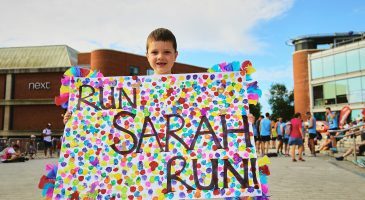 Many were running a 10-km race for the first time, or fundraising for a special cause. 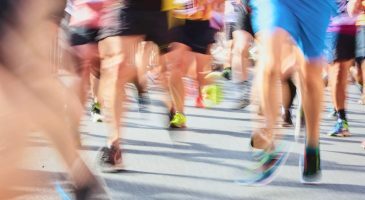 Over 600 entrants, decked out in yellow, were running for official race charity, the Community Sports Foundation. 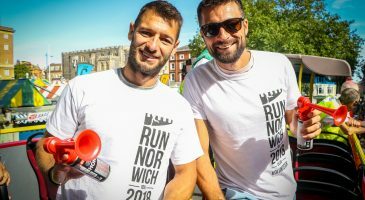 The race was started by Canary legends Wes Hoolahan and Russell Martin, both of whom have been heavily involved with the charity’s work through its association with Norwich City Football Club. 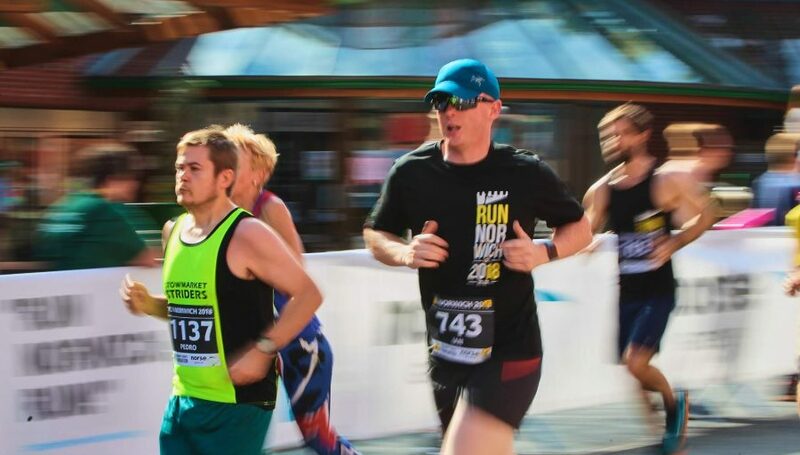 One of the many to finish was Tim Warner, who suffered a cardiac arrest at last year’s event. He crossed the line, with Dale Gedge – the quick-thinking off-duty paramedic who gave Tim life-saving CPR – and his cardiology surgeon Dr Ian Williams. 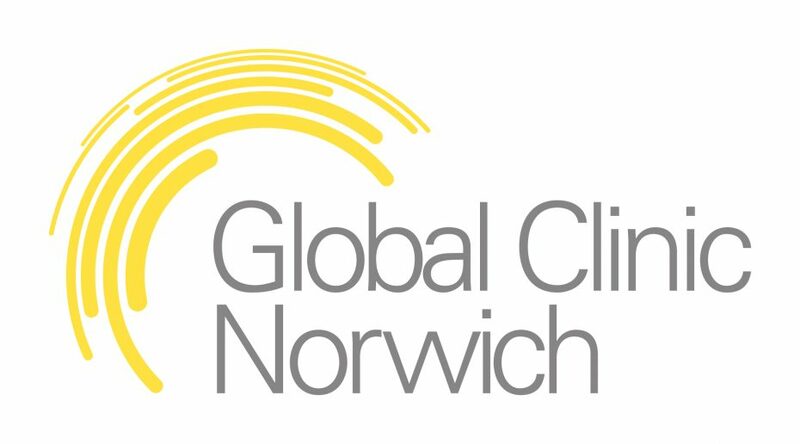 The Foundation wishes to thank partner organisations The Forum, Norwich BID, Norwich City Council and Norwich City Football Club for their support, as well as race sponsors and supporters including Ashtons Legal, Computer Service Centre, Aston Shaw, Jordan Fitness, Jarrold Intersport, Skoda Robinsons, Global Diagnostics, ESP Merchandise and main race sponsor Norse Group. 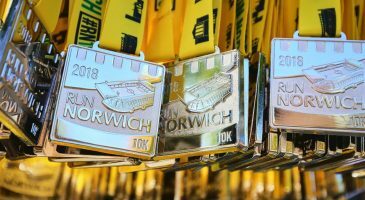 "No doubt that Run Norwich is one of the friendliest and best organised sports events in the calendar. "